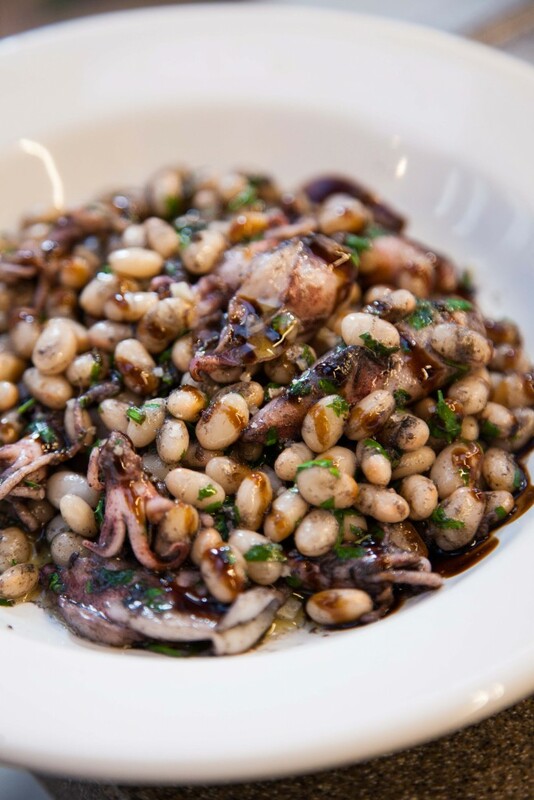 I had the baby squid with haricot beans bathed in a warm sauce of olive oil and balsamic vinegar at an amazing little tapas bar called Pinotxo in Barcelona’s Mercat de La Boqueria. It was savory, a delightful combination of flavors. I saw that Juanita, also has a version using chickpeas. 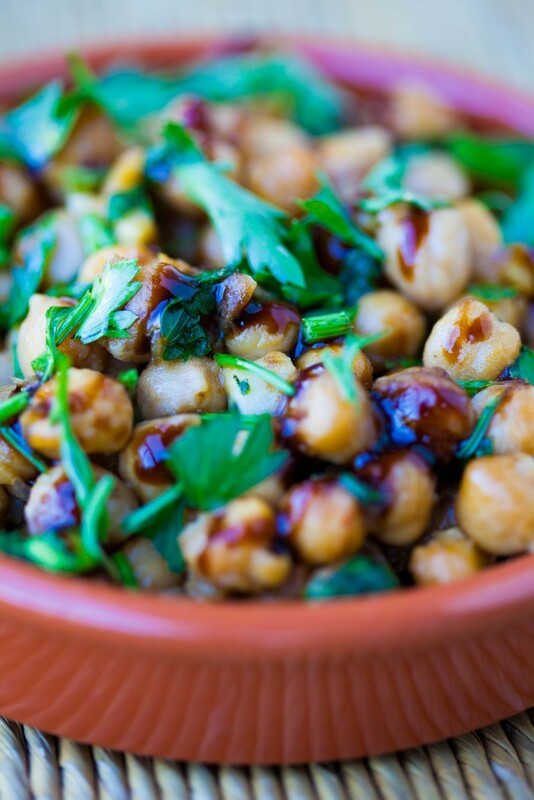 This dish is my vegan version of the Barcelona favourite, made with chickpeas, brightened by freshly chopped parsley and a great balsamic tanginess. This would make a great side salad or protein rich entree when combined with meats. Great served over corn crisps or rice thins too as a tapas! In a non stick frying pan, heat a little extra virgin olive oil. Once hot, add the garlic and fry till fragrant. Add the chickpeas, salt and black pepper to taste. Add freshly chopped parsley and stir in to soften the parsley slightly. Stir to combine and remove from heat. Transfer to a earthenware or serving dish. Drizzle with extra virgin olive oil and good balsamic vinegar reduction. Add freshly cracked black pepper and salt. © The Soup Spoon Pte Ltd.